For a century, California has harnessed its water with concrete, building dams and reservoirs on an epic scale. Now, as the state prepares to hand out $2.7 billion for new water storage projects, it looks as though that era of dam-building might be ending. During the height of the California's 5-year drought, state voters approved new funding for water storage as part of Proposition 1. This week, the California Water Commission will allocate those funds to the eight projects that have qualified after a lengthy analysis. Some projects are classic dams, but several won’t get the windfall they’d been hoping for. Instead, next-generation projects are in the running, like using the state's vast network of natural underground aquifers for water storage. That’s sparked a fierce debate over how California can get more water. 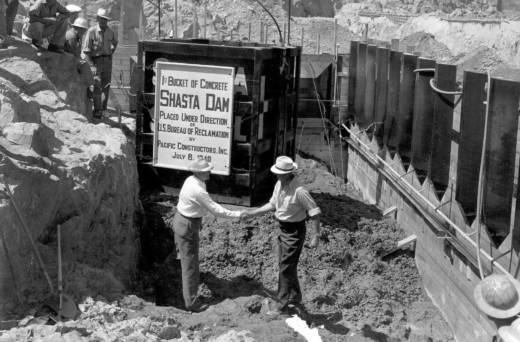 After the Depression, California’s first major dam rose on a river of federal money. At the time, Shasta Dam on the Sacramento River was the second tallest in the country. The dam-building era stretched into the 1970s, as California’s major water projects were built. Canals and aqueducts stretched across the state. 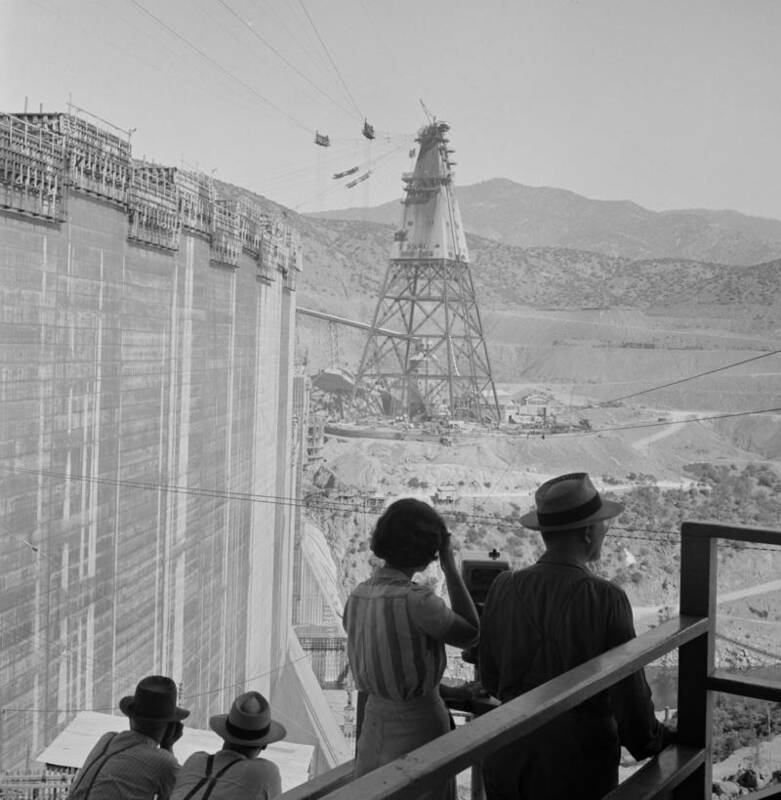 One promotional film dubbed it “one of the greatest engineering and construction achievements of the modern age," providing "water to protect the health of generations to come." Projects competed for state funding, scored partly on the basis of 'public benefits' they offered. These are the eight finalists, a combination of traditional dams, groundwater banking and recycling. The group is championing a new dam project known as Temperance Flat. It would sit just upriver from the 300-foot-tall wall of concrete known as Friant Dam. That dam, built in the 1940s, helped turn the San Joaquin Valley into an agricultural powerhouse. Almost all of the country’s almonds, pistachios and raisins come from just nearby. “This is, for all practical purposes, one of the best prime agricultural areas in the world,” says Santoyo. 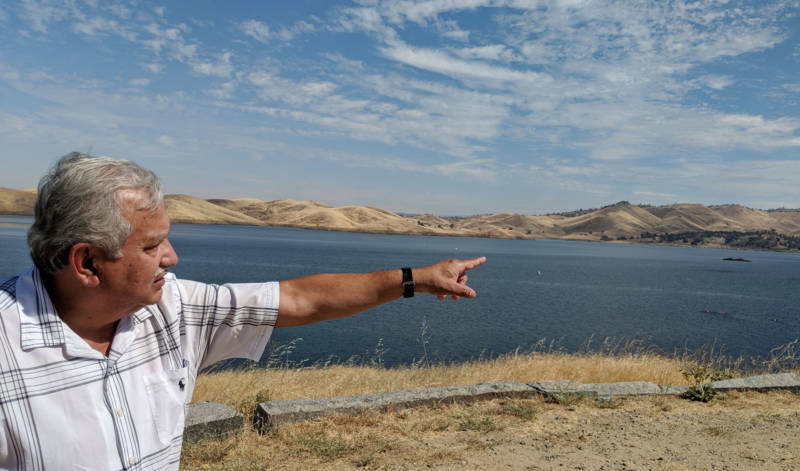 Santoyo says to keep crops growing, California needs the new dam, a project that supporters have had their eye on for decades. “It’s a V-shaped canyon area which is almost perfect for placing a dam,” he says. Faced with a price tag for that of about $3 billion, the San Joaquin Valley Water Infrastructure Authority applied for $1 billion in Prop 1 funding. But after the California Water Commission analyzed the project under a new scoring system, it determined that Temperance Flat wasn’t eligible for the full amount. The funding request was dropped to $171 million. “It was a major blow for us 'cause we didn’t see it coming,” says Santoyo. And the reason? This water bond has a dramatically different approach to funding infrastructure. “The bond was really clear: fund the projects that could provide the most public benefits,” says Rachel Zwillinger, who works on water policy for the environmental advocacy group, Defenders of Wildlife. In the past, many water bonds supported the building of particular projects. But the way state lawmakers wrote Prop 1, funding can only go toward the public benefits that a project provides. That includes things like flood control, recreation, or improving habitat for endangered species. To Zwillinger, it’s a sign that California is learning from its past. California’s major dams blocked salmon from reaching their historic spawning grounds. Today, several iconic salmon runs are endangered. Plus, the water in most rivers is already spoken for, so even if a new dam captures water, Zwillinger says most of it already belongs to someone else. 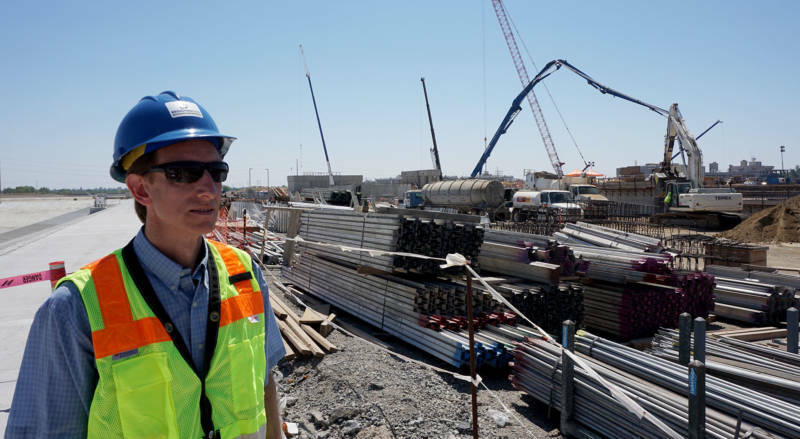 “The wastewater industry as a whole is learning that it’s not wastewater,” says Christoph Dobson, as he walks around Regional San's wastewater treatment plant in Sacramento. It’s the end of the line for sewage from 1.4 million Sacramento residents -- but not for long. “Right now, we’re in the middle of the EchoWater project construction area,” he says, pointing to a battalion of cranes and trucks. The plant is getting an almost-$2 billion upgrade. When it’s done, the treated wastewater coming out of the plant will be much cleaner than it used to be. In a dry state like California, it’s not hard to find someone who wants it. Just a few miles away are acres of grapes, alfalfa, and almond fields. Currently, farmers there get water by pumping it out of the ground. In theory, farmers would then use the recycled water instead of over-drafting the groundwater. The $280 million in Prop 1 funding would go toward building a pipeline and distribution network to deliver the recycled water. Raising the groundwater levels in the area could also be an ecological boon. If the water table is higher, it might improve the flow of the nearby Cosumnes River, which would benefit fish and wildlife. Dobson admits that the project doesn’t seem to have a lot in common with a dam. Three other projects expecting Prop 1 funding are based on groundwater storage or recycled water. The California Water Commission will make a final funding determination this week.